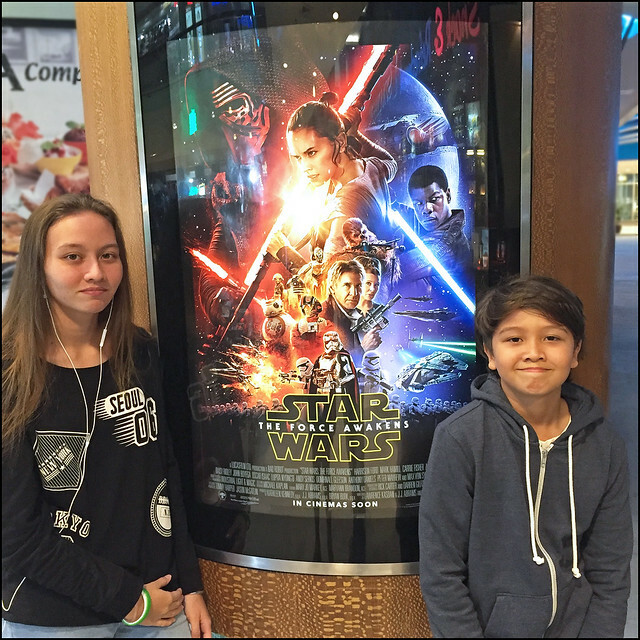 I only started going to the movies again a few years ago when the kids were old enough. Until then we've been fine with DVDs (our old VCR is long gone). We still buy DVDs sometimes at the Weekend Market ("100% original" of course). There used to be a great DVD shop in the Big C mall, but it's also closed. Now the only place I buy new DVDs is in the B2S store in the Central Festival mall. On recent visits back to the UK I have also bought a lot of DVDs secondhand. Watching a movie at home with the family is nice and cozy and cheaper than going to the cinema! But going to the movies is still great despite all the home-tech we have. I don't have a 20 meter wide screen on my TV. And going to the movies is fun! Ah yes, I'm a bit of a Star Wars fan .. I wouldn't say a "Star Wars Nerd", but I have loved the movies since I was a kid (the original was released when I was 8 years old). So for these new movies (Force Awakens, Rogue One, The Last Jedi and Solo) I was very happy to watch these at the cinema. We also recently watched Avengers Infinity War and in the past I have been with the kids when they were younger for "kids movies" too. 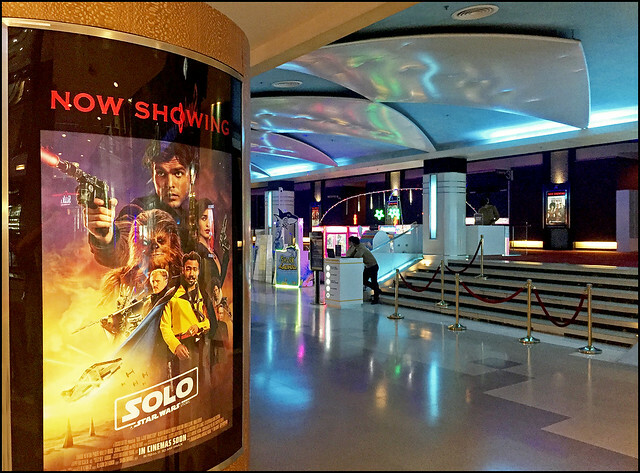 The cinema in the mall is ideal as we can also grab some food (the food court is on the same floor and Central has many different places to eat). 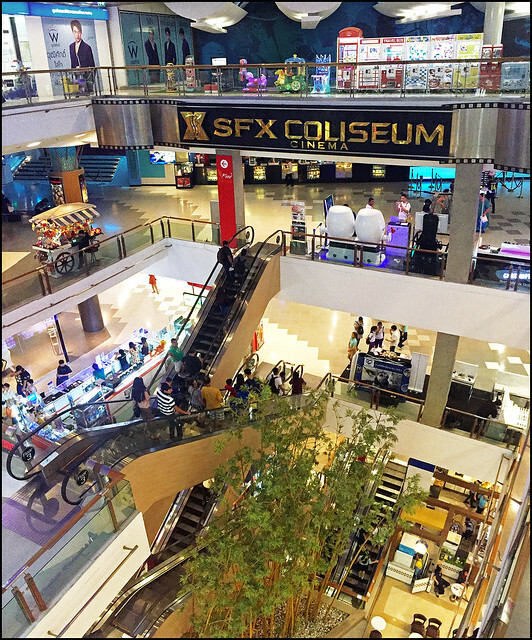 (above) The SFX Cinema in the Central Festival mall is on the 3rd floor. 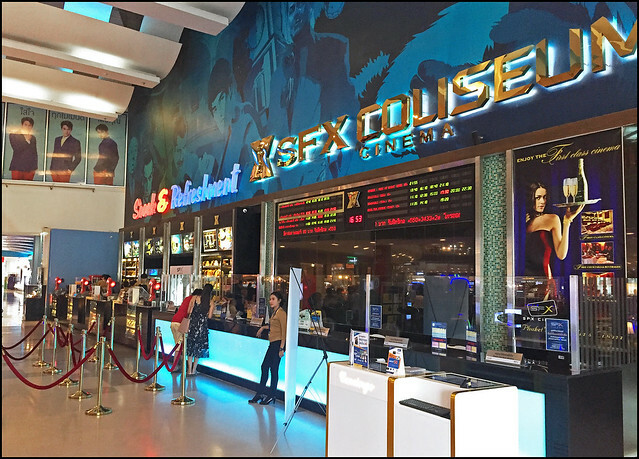 (above) SFX Cinema in the Central Festival mall. 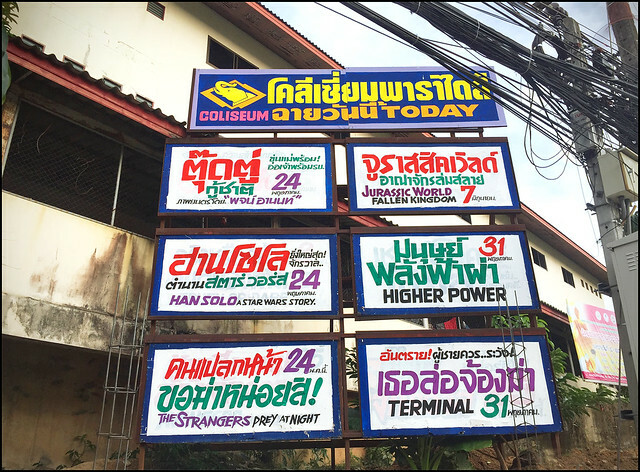 Tickets start at about 200 Baht (a little more at weekends). That's about half the price of a movie ticket in the UK. The screens have several seat types - some seats are a bit bigger and they also have "sofa seats", which would be nice for couples and not much more to pay. There's also a higher priced "First Class" cinema where you get big comfy seats and free drinks/popcorn and a nice lounge area to wait before the movie with some free snacks. It's easy enough to book seats in advance on the website (see links below) .. I always do this and book seats in the row with extra legroom about halfway up the theater. If you book online, you then get an email with a qr code which you can scan at a ticket machine - staff are always there to help, which is good because I've never been able to work out what buttons to press! You can buy tickets when you get there easily enough. Quiet in midweek, busy at weekends, just like anywhere else in the world! You can check movie times and book tickets at the sfcinemacity website.